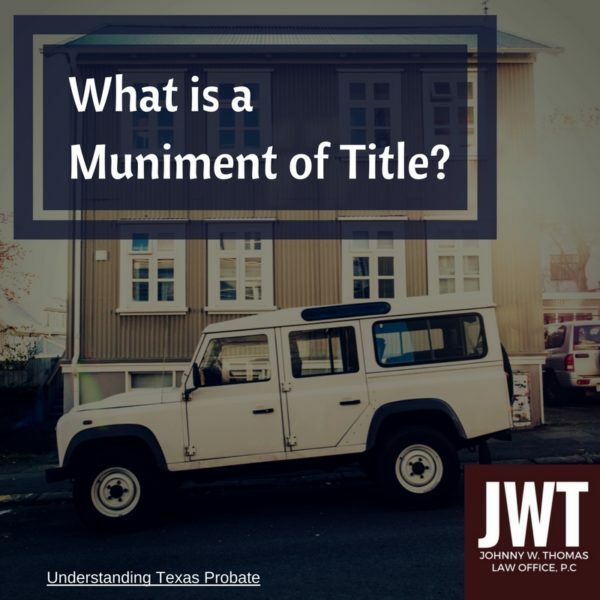 What is a Texas Muniment of Title? A full administration is generally the best way to handle matters of a deceased person's estate. It allows for the distribution of property to the people named in the decedent’s will or to the rightful heirs when one dies without a will. It allows for creditors to make claims for debts owed by the decedent. It also allows for the appointment of an administrator or an executor to handle any remaining details to wind up the estate. Of course, with all these benefits, a full administration is not only the best way to wind up an estate; it is generally the most expensive. For those looking for a less expensive option to handle an estate, a Muniment of Title may be the best fit. Though generally less expensive, the Muniment of Title comes with certain additional requirements when filing and is only optimal in certain situations. So what is a Muniment of Title? A Muniment of Title allows a document, such as a Last Will and Testament, to be treated as a proof of title to property. Unlike a full administration, Muniment of Title does not require an appointment of a personal representative of the estate, such as an executor or an administrator. Muniment of Title is merely a request to the court to give power to the Last Will and Testament to be used as a proof of title to the property passed in the will. For example, let’s say Bob’s mother has recently passed leaving a Last Will and Testament that gives Bob her home. Bob now wants to sell the home, but the title company is demanding clear title. Instead of probating the will and conducting a full administration, Bob may be able to probate his mother’s will as a Muniment of Title. After a successful filing of an application and court hearing to prove up the will, the Court will sign an Order to Probate the Will as a Muniment of Title. This allows the Will to act as Bob’s proof of title to the property. If there are no other title issues, Bob can use the Will as proof of clear title that the title company has demanded. There is no need of administration. Medicaid does not have a claim for benefits applied for or received after March 1, 2005. The applicant has presented the Will to the Court within 4 years of the decedent’s death or can prove that he/she is not in default. This may require notice to be given to all beneficiaries named in the Will. Completing a Muniment of Title to find out later that a full administration is needed. Banks have been generally slow to accept Muniment of Titles to release account funds. Additional attorney time and expenses may be necessary to ensure these documents are accepted and account funds are released. A notice must be given to the heirs when filing after the four-year time limit. If the whereabouts of an heir is unknown, an attorney ad litem must be appointed by the court. The attorney ad litem fees are the responsibility of the person filing the application for the Muniment of Title. If you have questions regarding a deceased loved one’s estate, please speak to a Texas probate attorney. 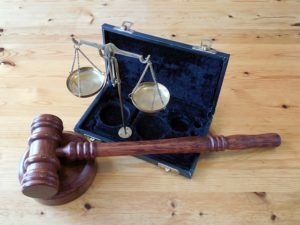 An attorney can help you find which probate proceeding or alternative to probate will work for you.